The Planning Commission is currently holding public meetings on the Comprehensive Plan. Public workshops (Public Hearings) are held when comprehensive plan is being updated. The Planning Commission meets monthly on the second Tuesday of the month at 2:30 pm. Occasionally, the Commission will hold joint meetings with various committees, sub-committees and advisory groups. 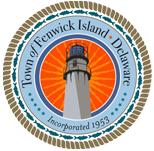 The Town wants to preserve your memories of Fenwick Island. We will tape your oral history or accept a written history from you. Peggy Timko has graciously allowed us to publish her memories of her first summer job in Fenwick Island. We look forward to adding to Mrs. Tinko’s memories. Contact us if you wish to participate. Tim Collins has written a brief history of his business(es) in Fenwick Island – from “Shifts, etc.” to Southern Exposure. If you have information about other commercial enterprises in town, please give us a call. We have received many Old FI photos of Fenwick Island. Visit our display in Town Hall to view some of them or visit us on Facebook. Other photos, newspapers and documents will be scanned to a digital archive for use in the future.